An online service for comfortably watching live video and viewing camera records from different cameras and locations in one place. 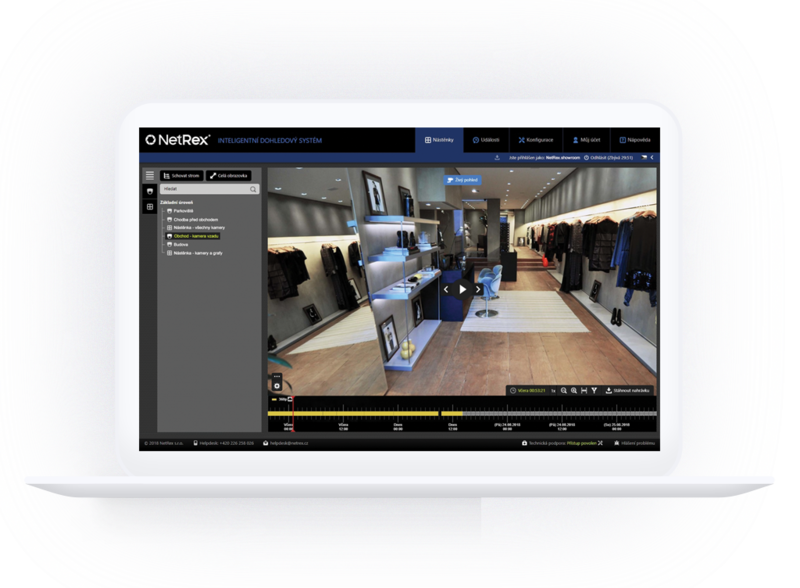 NetRex Monitor is a cloud service for a remote surveillance system. Allows the centralized viewing of live video and camera recordings from different locations and cameras. 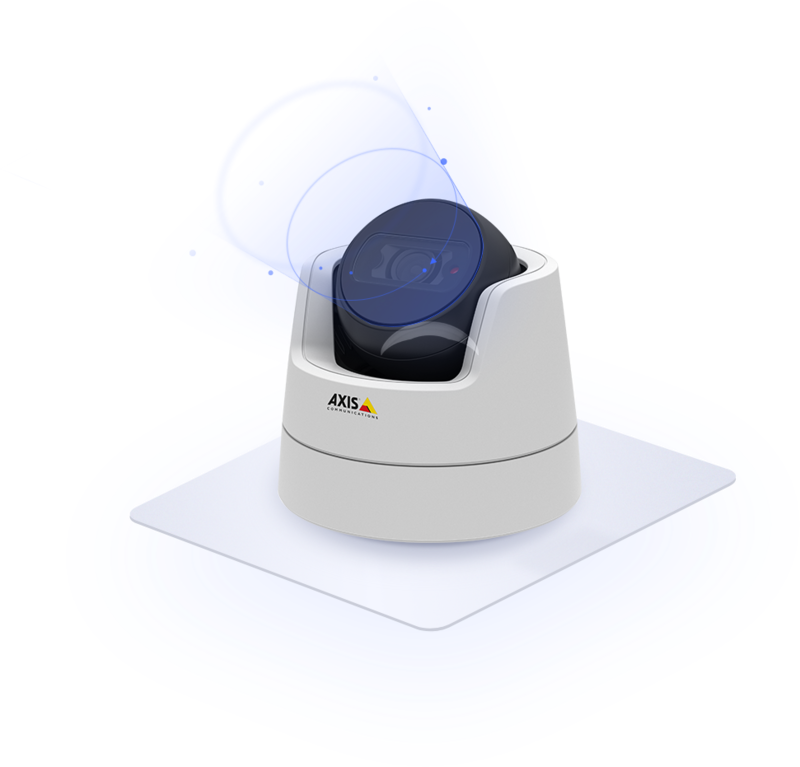 NetRex Monitor connects AXIS IP cameras with the NetRex platform we develop. It’s a comprehensive service that will keep you in control. Discover this modern and proven service that runs on a robust central platform. For a fraction of your current purchase costs, you can get an easy-to-scale camera system suitable for every location. It’s enough to just connect. Supplied cameras and other technologies just connect to the Internet and log in to the web application. Forget about complex configurations, camera settings, or public IP addresses. Thanks to this, we save your time. And time is money. Simple, fast and easy! Records are stored effectively – short recordings on the SD card and longer records in the highest quality on high-capacity disk storage. They are also uploaded to secure remote servers. So your data is completely safe and the surveillance of critical events is very simple. You can access your system from any device. From computers, mobile phones and tablets. Streaming servers deliver live video and more viewers at high quality while still using the Internet. And you will have a comprehensive overview of everything. Recording or alerting in important and critical situations. Offered by NetRex Monitor. Set your system’s behavior according to your requirements and needs. A smart event module will be appreciated by everyone who wants something extra. Tune the system to perfection and it will not disappoint you in any situation. SmartSearch function speeds up your search. This is performed by specifying the region and the time span. Search for recordings according to the time of their creation and fulfilling event filters from all storages through a single interface. Our advanced search will allow you this. The entire system continually monitors the functionality of cameras, processes and services. As a result, in critical situations, you will immediately learn that something is wrong. E-mail or Push message. 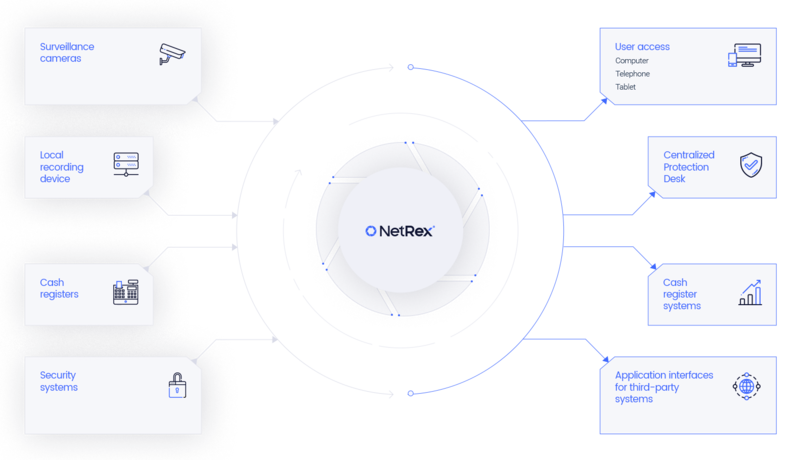 Due to the interconnection of devices with the central NetRex platform, we are able to solve a large number of problems remotely. The result is the time saved and the expense of our and your technicians. Encrypted approaches, data transfers, and logging of all activities in the system. Security is a priority for us and you can count on us. All your data will have the maximum possible safety. The system has the ability to create subordinate user accounts with clearly defined rights and detailed logging of their activities. Employees will have access to cameras and you will be able to see what they are doing. Trust, but also check. Smart video apps that work for you. With Axis IP cameras, you can buy smart apps that detect entering into the premises, finds cast-off items, recognizes a license plate or, for example, counts passers-by. Smart cameras that do not miss anything and draw attention to the essentials. Do not let anything slip between your fingers. The documented and developed application interface allows you to create higher functional units and work with the image and recording in the software you are used to. Connect cameras with attendance systems, centralized protection counters, cash registers and other devices to help you know everything immediately. Volume discounts Please contact our sales department. Please contact our sales department. Please contact our sales department.